“The Flash vs. The Truth.” Who would you pick for your NBA roster? If you asked me to scrounge together a list of Paul Pierce’s I wouldn’t even know where to begin. For the sake of argument, I’ll mention one that instantaneously: the time Pierce was asked he was a better “pure shooter” than Klay Thompson, inherently not a question over who was the better overall player. I’ll let you surmise what he answered without giving it away. As you might imagine, a couple of notable members of the NBA community chimed in soon after, including his comparable D-Wade. On the surface, the problem doesn’t lie in the fact Pierce rates himself superior to D-Wade. In reality, the gap between the two players is close, so an argument could be made with some kind of rhetorical logic. The problem is… Paul Pierce doesn’t have to be so audacious, especially since he now works as a sports pundit, a job that requires a certain level of detachment and objectivity. But Pierce’s cocky spirit is also what made him a championship player in the end. Dwyane Wade’s response to Paul Pierce wasn’t even all that damning, as he chose to highlight someone’s else reactionary logic: that of NBA-peer Jared Dudley who questioned the former Celtics’ forward over his sobriety. “Cocaine is helleva drug,” Dudley wrote. 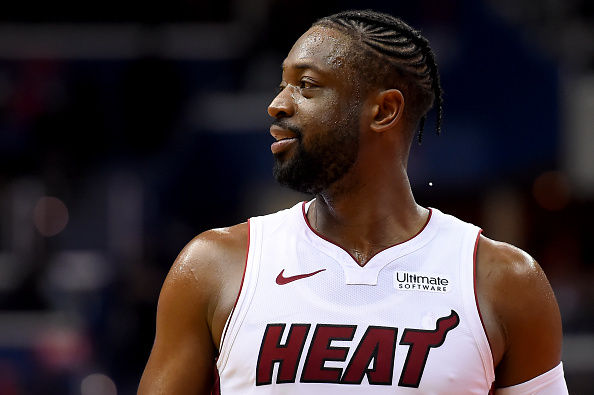 “Both has great careers but Dwade is 3rd best SG of all-time.” Wade then responded directly to Dudley’s post by insisting, “You said it better than I could.” With all that said, who do you rate at a higher clip: The Flash or The Truth?